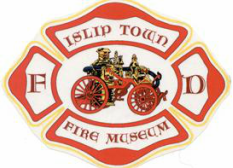 The Islip Town Fire & EMS Museum and Education Center will be hosting a fundraiser training seminar "2018 Firefighter & Fire Officer Fireground Survival Program" presented by Deputy Chief Billy Goldfeder on Friday, November 30th. The seminar will be held at the Suffolk County Community College Auditorium located at 1001 Crooked Hill Road in Brentwood - dinner will be served at 17:30 with registration at 19:00 and the seminar commencing at 19:30. Deputy Chief Billy Goldfeder, EFO has been a firefighter since 1973 and presently serves as the Deputy Fire Chief of the Loveland-Symmes (Ohio) FD, an ISO Class 2 agency. A chief officer since 1982, he has served as a fire chief in Ohio, Virginia and Florida as well as an ISO representative in southern New York and a company level officer with the Manhasset-Lakeville (Long Island, NY) FD. A 1993 graduate of the National Fire Academy's Executive Fire Officer program, Chief Goldfeder is an Honorary FDNY Battalion Chief, sits on the Board of Directors for the September 11th Families Association as well as the National Fallen Firefighters Foundation. He has been the recipient of numerous operational and administrative awards and recognitions including ISFSI Instructor of the Year in 2004. He is a contributing editor for numerous firematic trade journals including Firehouse, Fire Engineering, Fire Rescue Magazine and Firehouse.com as well as a 25 year instructor at FDIC and 15 year member advisory board. Chief Goldfeder also established and moderates the popular website FirefighterCloseCalls.com, a 100% non-commercial, independent free of charge website highlighting issues affecting firefighter safety, health and survival.